Did you know you can remove rust simply using two items that are already in your home? It’s springtime and that means it’s time to break out the kids’ scooter, bikes, wagons and toys! But if you’re kids are anything like mine, they sometimes leave their toys outside in all weather, including rain! This means rust on those bikes and scooters. In my family, we also buy large outdoor toys at consignment sales or resale shops to save money. We choose sturdy items, but even when they are solidly built, they often have rust stains. But, we don’t let these imperfections stop us from buying used! 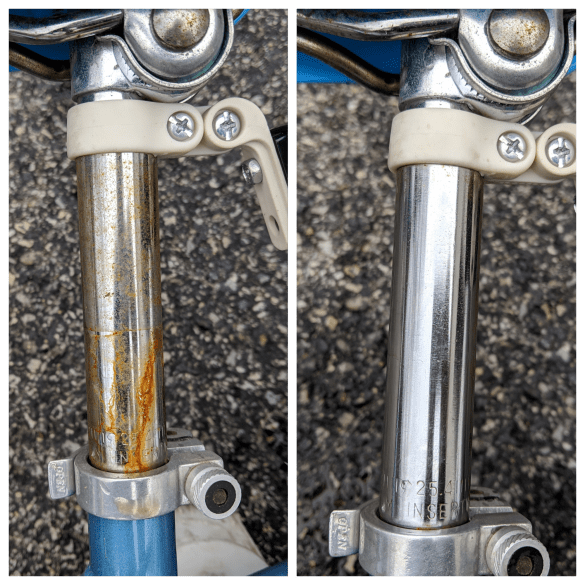 There is a simple, easy way to remove the rust using 2 things you already have in your home-vinegar and aluminum foil! 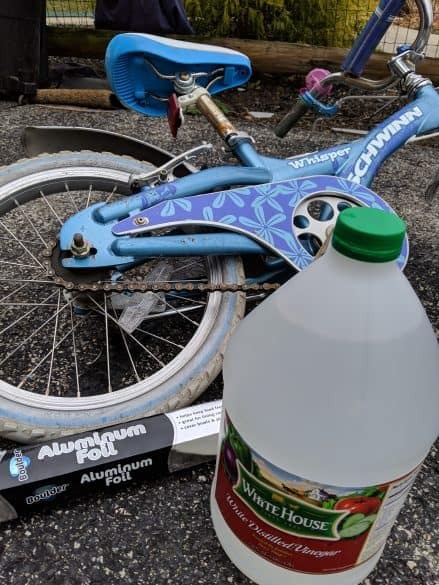 The only things you need to remove rust from kids’ outside toys are vinegar and aluminum foil. Vinegar is such a great cleaning product! What doesn’t it clean? You don’t even need a sponge or a scrub brush for this part! Simply pour some vinegar into a bowl. Grab a sheet of aluminum foil and scrunch into a loose ball. 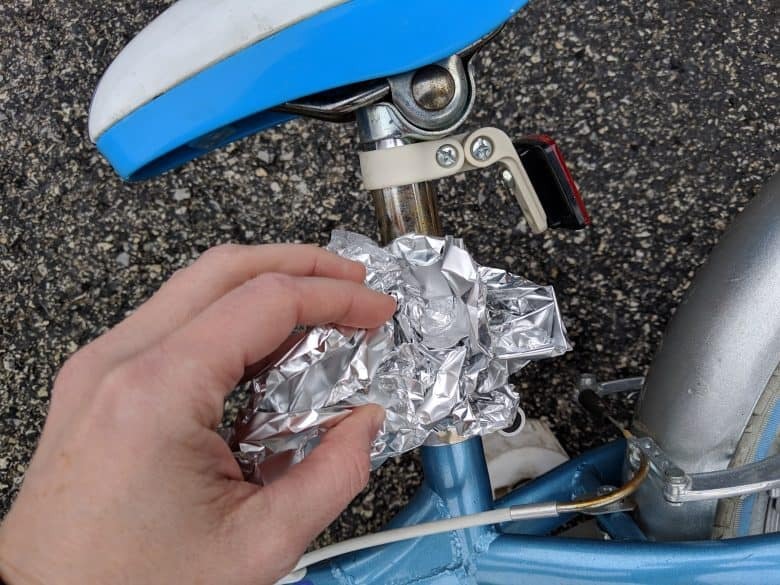 Dip the aluminum foil ball in the vinegar and use as a sponge to scrub the rust stains off. Simple, right? Some areas with tough rust may need a little more elbow grease than others, but this trick works great for removing rust! You’ll want to give your item a rinse after you are finished and voila, you’re done. If you like you can apply some type of coating that will prevent rust. 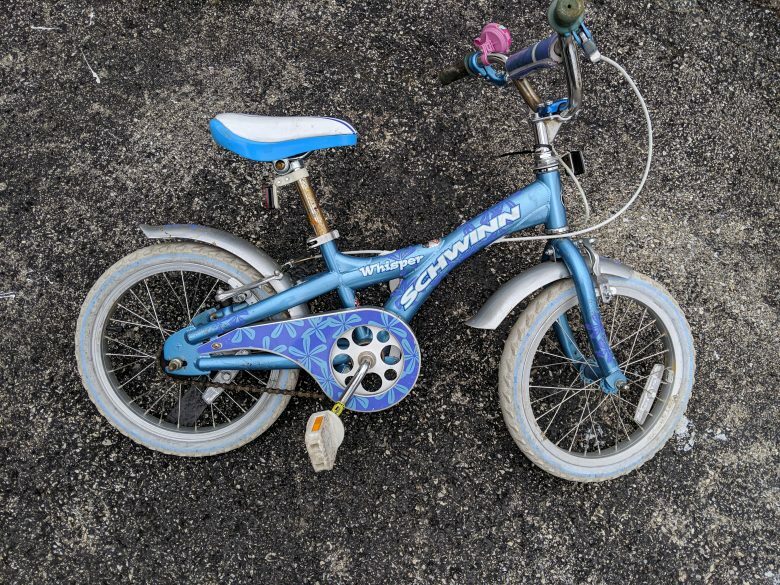 The final step really is making sure your child puts their bikes, scooters, and toys away so they don’t get rained on! Then the rust won’t make a reappearance! Hopefully, this simple trick will help you shine up your current outdoor toys and patio furniture! Don’t forget about “new to you” items as well! 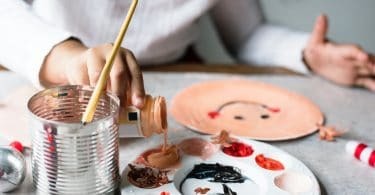 Now that you know this simple trick for removing rust, you’ll know for sure that you’ll be able to clean up any pieces you purchased at consignment.